The Oh, Bernice! Holiday Special with Dollar Store Secret Santa! – Oh, Bernice! 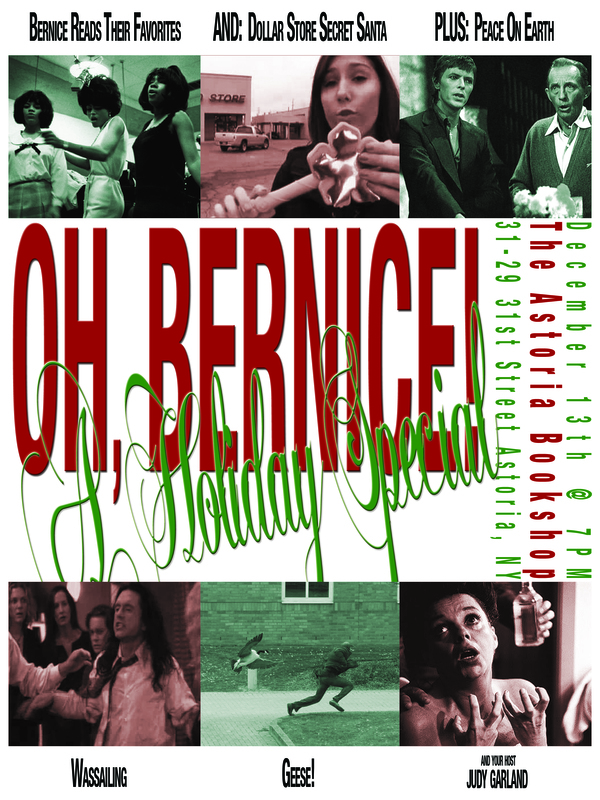 Take your stockings down from the chimney with care (you’ll need to wear them) and head on down to The Astoria Bookshop (31-29 31st Street). And, “you better watch out,” the reading starts at 7PM sharp. Ditch your “loved ones” and we’ll see you there! This entry was posted in Upcoming Events and tagged Ann Podracky, astoria bookshop, bing crosby, brian matthew kim, danny kaye, David Bowie, dollar store secret santa, donna reed, hoyt von hoyt, jason fishedick, Jenna Telesca, jimmy stewart, joantham alexandratos, John Reid Currie, John Rice, Jolie Hale, judy garland, oh bernice, reading series, Sachiko Clayton. Bookmark the permalink.